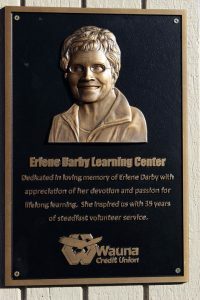 OCTOBER STATEMENT INSERT: Call for Nominations! 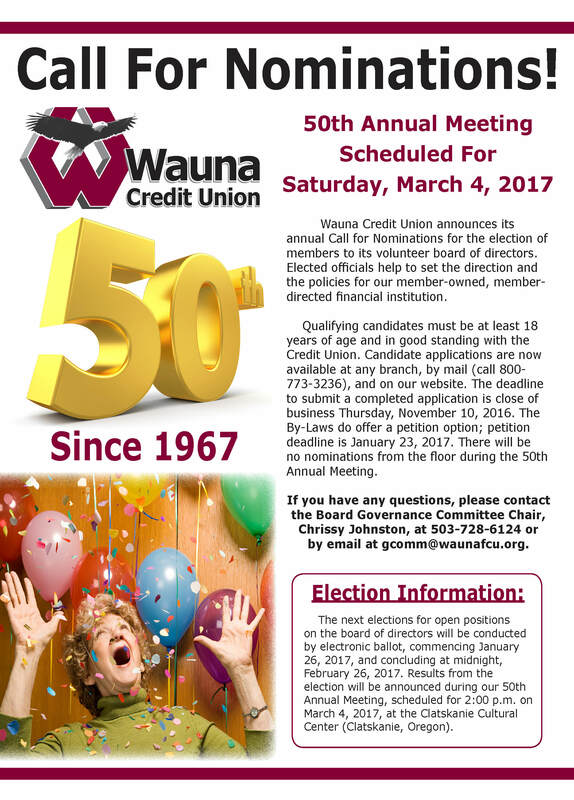 Wauna Credit Union announces its annual Call for Nominations for the election of members to its volunteer board of directors. Elected officials help to set the direction and the policies for our member-owned, member-directed financial institution. Qualifying candidates must be at least 18 years of age and in good standing with the Credit Union. Candidate applications are now available at any branch, by mail (call 800-773-3236), and on our website. The deadline to submit a completed application is close of business Thursday, November 10, 2016. The By-Laws do offer a petition option; petition deadline is January 23, 2017. 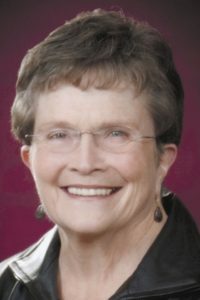 There will be no nominations from the floor during the 50th Annual Meeting. The next elections for open positions on the board of directors will be conducted by electronic ballot, commencing January 26, 2017, and concluding at midnight, February 26, 2017. Results from the election will be announced during our 50th Annual Meeting, scheduled for 2:00 p.m. on March 4, 2017, at the Clatskanie Cultural Center (Clatskanie, Oregon). Balance is a Financial Education service offered for FREE to all Wauna CU members. Sign up for an account on our website and get tools to help budget, reach saving goals, and learn more about an array of financial topics – from teaching teens about money to navigating a bankruptcy. Balance offers FREE financial counseling for our members with professional advisors, offering debt repayment advice, home purchase help, and foreclosure prevention solutions. It’s yours FREE for being a member of Wauna Credit Union! Why? Because our ONLY mission is to provide opportunities to our members to build their financial well-being! Be proactive in defending your accounts by using the CardValet app. You’ll know every time your debit card is used, and be able to turn it off when not using it! CardValet allows Debit Card users to literally turn their card off & on with one click! CardValet can alert you every time your Debit Card is used! Control your spending by setting up dollar amount limits. Set your Card automatically turn off if it’s more than a certain distance away from you! Win Prizes in our Website & Facebook contest! Coloring Contest for Kids!! 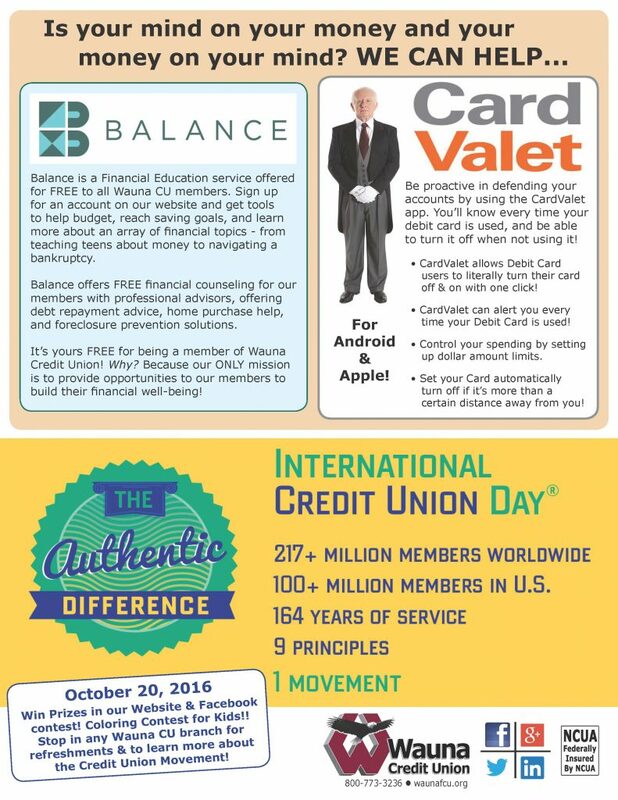 Stop in any Wauna CU branch for refreshments & to learn more about the Credit Union Movement! A Record Number of Ballots were cast during Wauna CU 2016 Board of Directors Elections! Thank you! 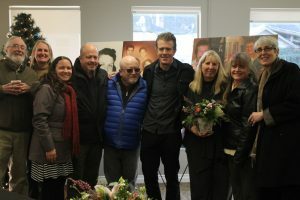 The 49th Annual Meeting of the Wauna Credit Union membership occurred Saturday, March 5th, in Westport, Oregon. 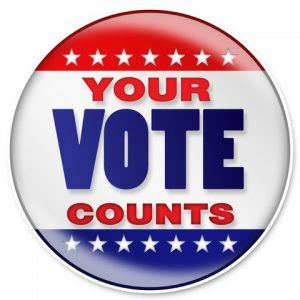 Election results for the Board of Directors were announced; congratulations to: Debbie Huffman and George Dunkel (incumbants), and Neil Christensen, each elected to a 3-year term; and, Bill DeJager (incumbant) was elected to a 1-year term to complete a vacancy on the Board. 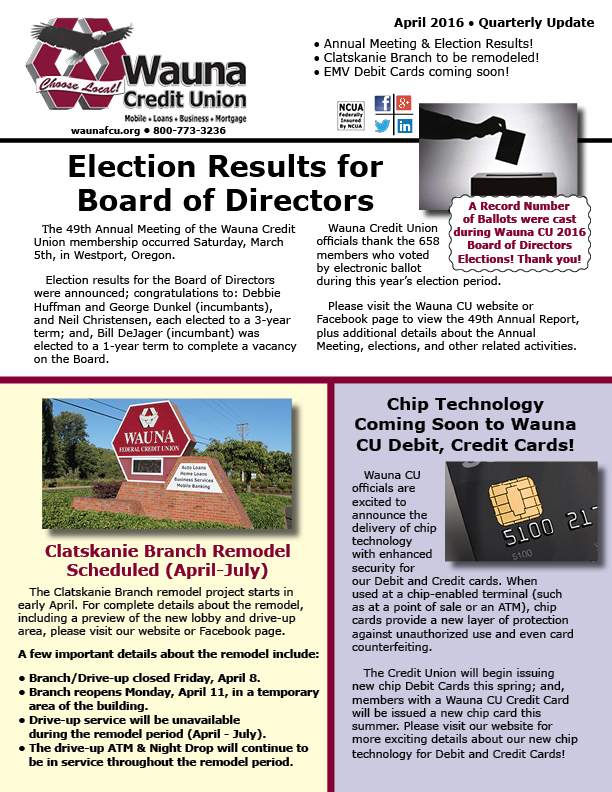 Wauna Credit Union officials thank the 658 members who voted by electronic ballot during this year’s election period. Please visit the Wauna CU website or Facebook page to view the 49th Annual Report, plus additional details about the Annual Meeting, elections, and other related activities. The Clatskanie Branch remodel project starts in early April. For complete details about the remodel, including a preview of the new lobby and drive-up area, please visit our website or Facebook page. • Branch/Drive-up closed Friday, April 8.
during the remodel period (April – July). be in service throughout the remodel period. Chip Technology Coming Soon to Wauna CU Debit, Credit Cards! Wauna CU officials are excited to announce the delivery of chip technology with enhanced security for our Debit and Credit cards. When used at a chip-enabled terminal (such as at a point of sale or an ATM), chip cards provide a new layer of protection against unauthorized use and even card counterfeiting. The Credit Union will begin issuing new chip Debit Cards this spring; and, members with a Wauna CU Credit Card will be issued a new chip card this summer. Please visit our website for more exciting details about our new chip technology for Debit and Credit Cards! 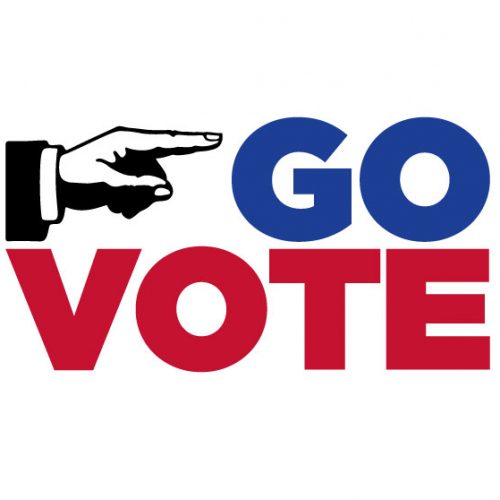 There are only a few days left to apply to be a candidate in our Board Of Directors elections. 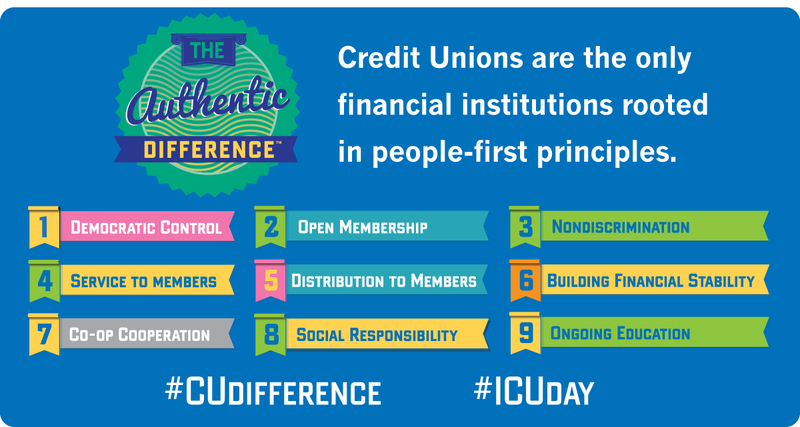 We need dedicated and caring individuals to step up and help lead our Credit Union to greatness! Our Board of Directors are volunteers, they are dedicated members of Wauna Credit Union that want to help guide and shape our future. 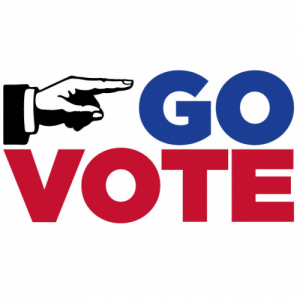 As a financial cooperative, we are member-owned, and all members in good standing and of legal voting age are welcome to run in an annual election for our Board Of Directors. Our Board of Directors meets monthly, and attends special planning weekends and other retreats, to learn about the latest in Credit Union advancements and hear from experts, to make the best decisions for our organization. Please take an active part in Wauna Credit Union and apply to be a candidate!